AIRLINERCAFE.COM - Forums - Revell is doing a 1/144 An-225 Mriya!! Forums / 1.0 Airliner Modeling / New Kit & Decal Releases / Revell is doing a 1/144 An-225 Mriya!! Will look great next to my AN-22 and AN-124! Me neither, but you have to admit it will be impressive. Their An-124 is a great kit. But why this price jump ? The AN-124 was for about 25� and the AN-225 for 90� ? for only 2 more engines and 4 more wheels ? But why this price jump ? Must have seen the price Roden was charging for their C-5 and acted accordingly. Maybe it comes with a Buran! Only yesterday I was clearing up a storage box of unfinished projects... and found the engines, wheels and fuselage parts of a Revell An-124 I once built. I saved them with the idea of needing them whenever I decided to build a 225. Tossed them away, because, yeah, no one has room for storing a 1:144 An-225. An-225 is perfect to me. of 101,58� makes it perfect for the next X-Mas gift. I move over more and more to smaller aircraft. Anyway....interestingly no infos on REVELL's homepage. Because this is Hannants. The most expensive place you can buy almost anything. Not sure how they stay in business. Not in any case! I live in Europe and I buy in Europe (almost). and online modeling shops in the U.S.. Compare the prices before buying is recommended. Depending on the exchange rate - the Dollar is low at the moment. The 225 visits Houston often. She is massive and impressive. I will love one. I thought AModel had announced one a couple of years ago. Hannants is an awesome family own hobby shop. Like every year, Revell official announces their releases for the next year at January 1st. Do they have a mole at Revell? AMS is utterly ridiculous. Not only are their prices high, but their shipping is beyond believe. I wanted to buy a tiny PE fret that would easily fit into a standard business envelope with a regular stamp. They wanted to charge me 25 Euros for shipping. Yep, Jennings, you're right about AMS shipping charges. They ship only with UPS. I make a bulk order so that the shipping costs are worthwhile. I make a trip to Amsterdams coffee shops. when the U.K. is out of the E.U. We save 19% tax. Hopefully! I've said it before, and I'm going to say it again: that's the fault of the shipping companies. Shipping anything abroad from NL is crazy expensive if it has to be insured. They charge normal and reasonable fares for shipping inside the country. A while back, I sent out a decal to Australia and it arrived damaged beyond repair, which happened while the envelope was still in the Netherlands. No way to claim the damage as I used the uninsured option. Insuring it would have cost �17 (for a 50 gram flat envelope!!) and that was the standard national mail company called PostNL. No idea about UPS and other companies but I do know it's not cheaper than that. A business envelope with an airmail stamp on it (the PE fret was the size of a business card). Sorry. Before we returning to the topic a last word about shipping charges. I wanted to buy a not modelling related item in an U.S. online store. The shipping charges to Germany would be twice so expensive as the item was. I let it be and kept my hands off! Just when I had given up on Amodel ever releasing theirs... Now my New Year has a whole new shine to it! Makes perfect sense if they're going to use existing An-124 parts. Just received the Revell newsletter. An-225 confirmed - also the 747-8F in UPS colors. No mention of the A320Neo or A321Neo however - my hopes are on Zvezda now. Excellent!!!! The Aviation Megastore shows it tentatively available in October as well. Good times! Who said "Size doesn't matter"???? Where should we stow it? I haven't read any recent info but it would seem that Revell Germany is able to get past the Hobbico bankruptcy. Someone must have bought the Revell assets/brand. Have googled and couldn't found a note on Wikipedia about Revell's actual status. "Estes Industries acquired the Estes-Cox business unit and a German VC group acquired Revell Germany whole and the Revell-Monogram brands, IP & molds." P.S. : What's a VC group????? Venture capital (VC) is a type of private equity, a form of financing that is provided by firms or funds to small, early-stage, emerging firms that are deemed to have high growth potential, or which have demonstrated high growth (in terms of number of employees, annual revenue, or both). Venture capital firms or funds invest in these early-stage companies in exchange for equity, or an ownership stake, in the companies they invest in. Venture capitalists take on the risk of financing risky start-ups in the hopes that some of the firms they support will become successful. The start-ups are usually based on an innovative technology or business model and they are usually from the high technology industries, such as information technology (IT), clean technology or biotechnology. B�nde, 17 May 2018 - Revell GmbH announces that, in the course of the restructuring proceedings under Chapter 11 of Hobbico Inc., the sale of Revell GmbH to a company of the international investment group Quantum Capital Partners (QCP) as sole new shareholder has been completed. Assets for the North American business operations were also part of the transaction, including trademarks and a large assortment of molds that are crucial for the plastic model making. The change of ownership will strengthen Revell through an expanded global footprint and a broader product portfolio. Fingers crossed....Revell is/has been one of the biggies in the model industry for decades. Aha! An Investment group - I had already thought something like that. Hopefully that will be fine and they are not grasshoppers/locusts/corporate raiders. I couldn�t wait to order a beast. This thing is massive! I hope you all like painting wheels!! 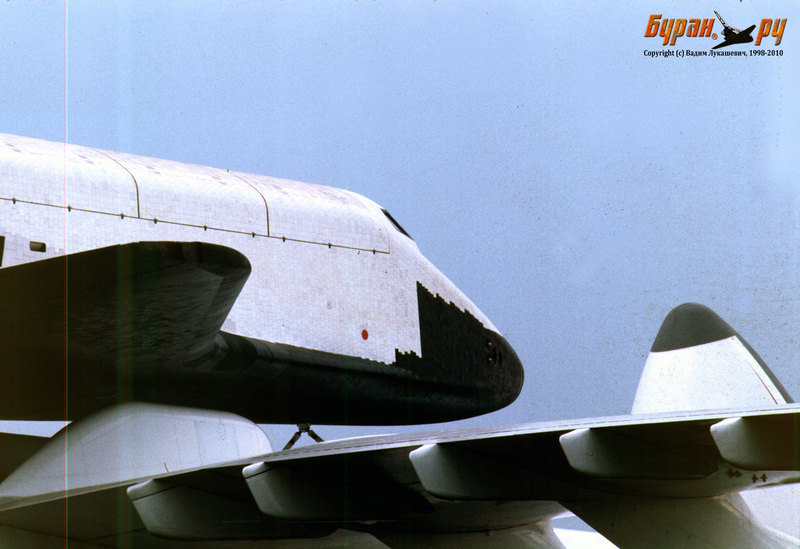 Is there a Buran in 1/144? Buran 1/144 at Nuremberg Toy Fair these days. Yes there is. By ARK-models from Russia. I'm still waiting for my Russian contact to have it. 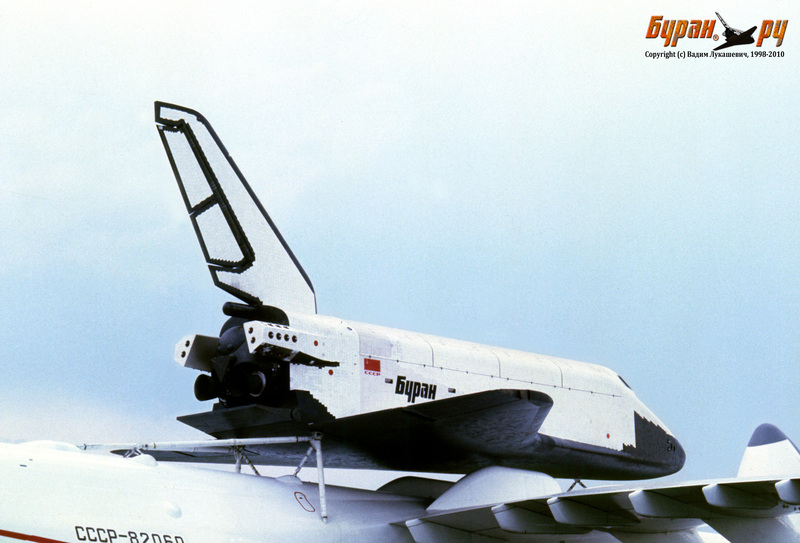 Did the An-225 ever actually carry a Buran? I thought I remembered that the Buran was gone before the An-225 appeared. I will probably order one of those Buran kits. In fact it will be kind of cool to compare it to the Revell Shuttle. Kusti, if you find the drawings for the Buran mounts please share them with me. 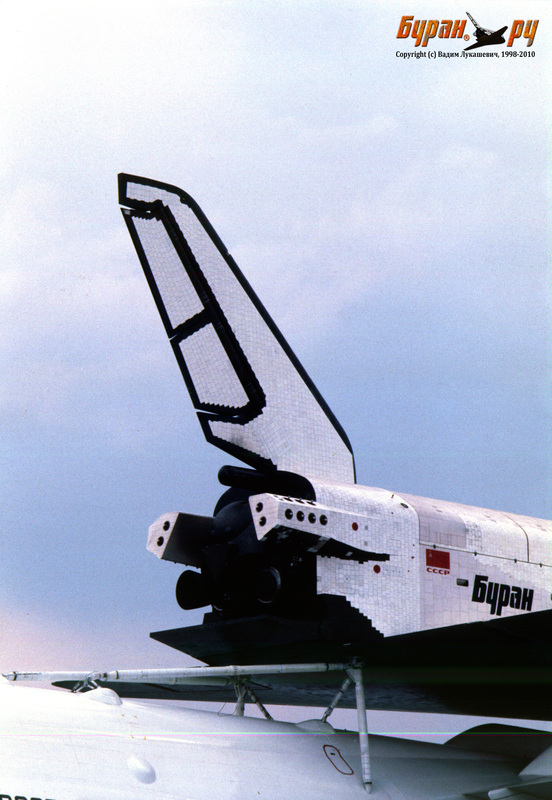 so I will guess someone has great Buran mounts pictures. I don't have drawings or blueprints to show you, but here are the links which could be useful. Very informative photos here (pages 29-32) and a lot of information, drawings and blueprints here just need desire to dig out the necessary information. Yes indeed thanks very much for all the links. I read the entire Buran Energia site, amazing!!! 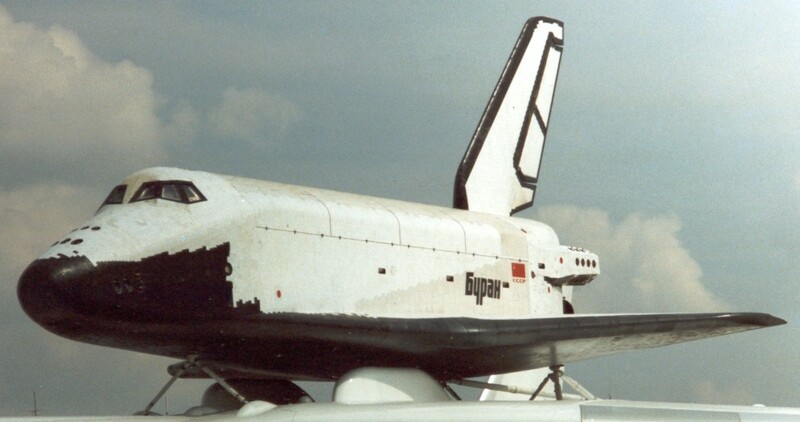 Now the question is: Where to get decals for the Buran - An-225 version? Hi Uwe and others, Marco Coldewey has done this using Ascensio Decals. 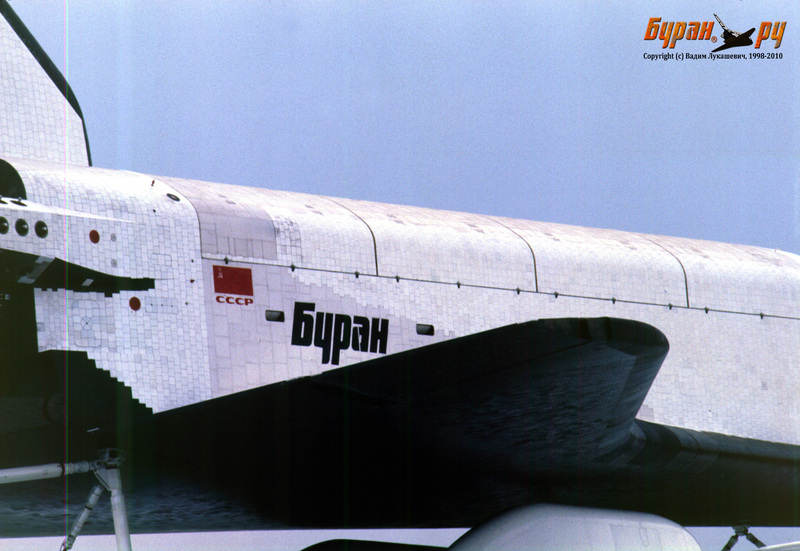 Only CCCP registration, the nose number(387) and Soviet flags to vertical stabilizers is needed to make "Buran" version. I think they are not a very big problem. But there is a bigger problem. At the moment (at least) I cannot open Ascensio website where to buy those "red stripes" The Google translator tells that the site is closed. And I haven't found any other place to order them. Of course you can paint those stripes but... you know the doors etc. Or let's wait that another decal maker (hopefully) makes them.